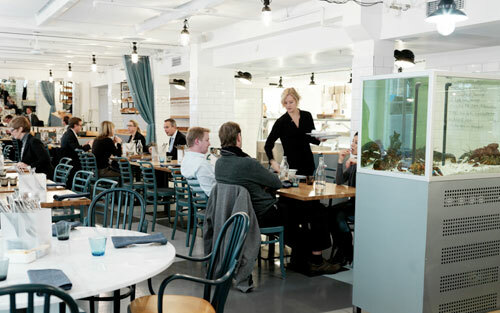 Our new ‘Must-go’ place in Stockholm is Restaurang Bar, which offers a delicious menu of fish and seafood “as fresh as it gets”. 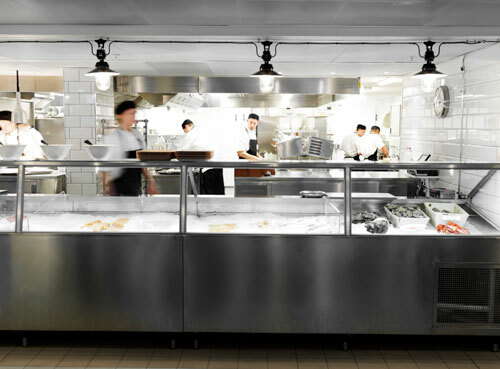 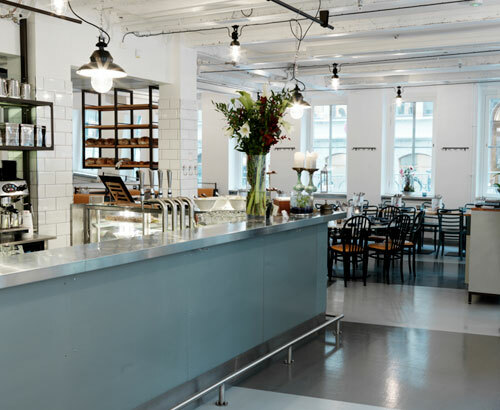 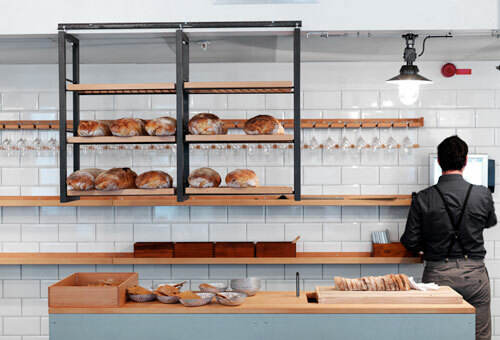 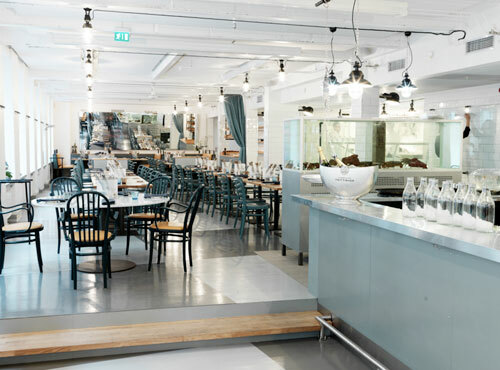 The place is owned by Henrik Norström and Peter Johansson, who run several restaurants praised for their gastronomic vision and Nordic Cuisine. 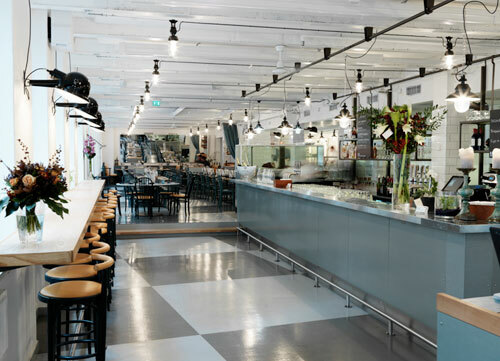 We love the industrial chic interior and the combination of wood, stainless steel, cool floors, black furniture, and the open kitchen. 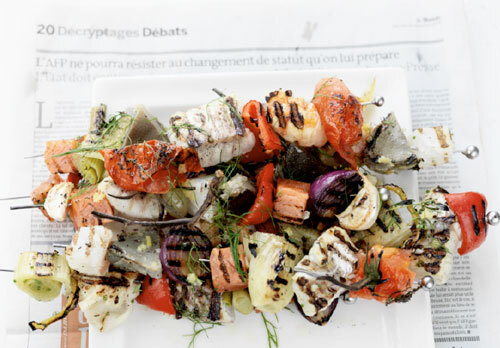 You can also buy fresh fish to take away just like at the market!